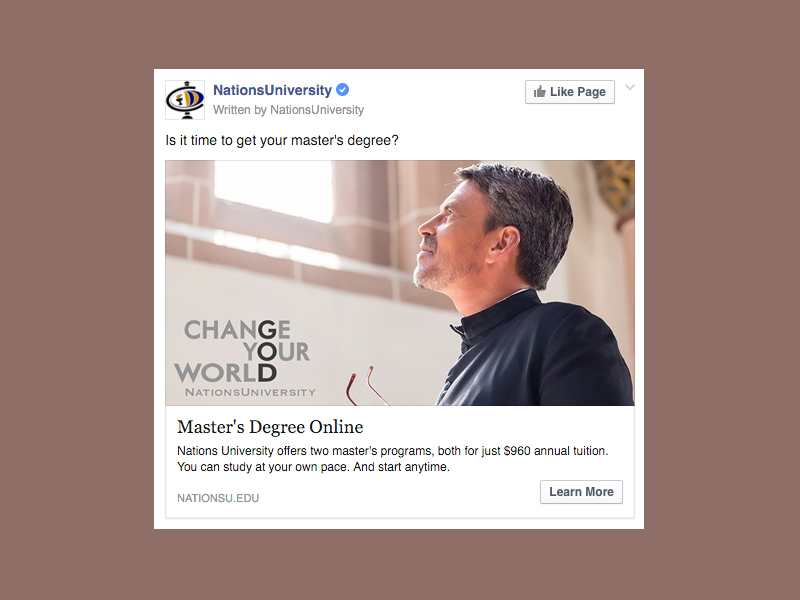 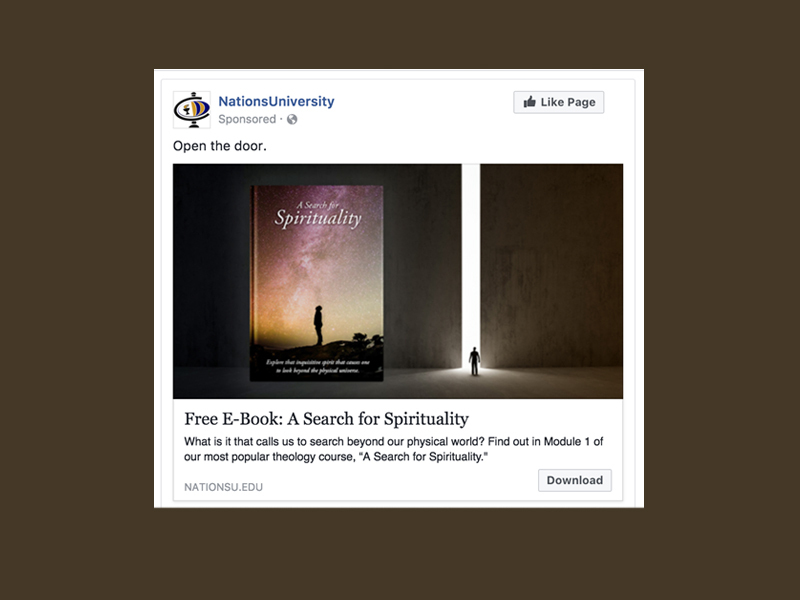 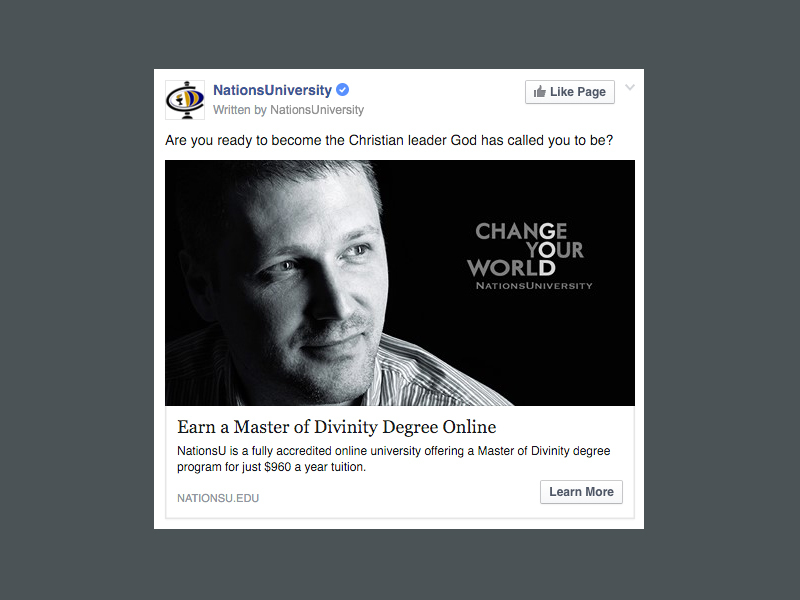 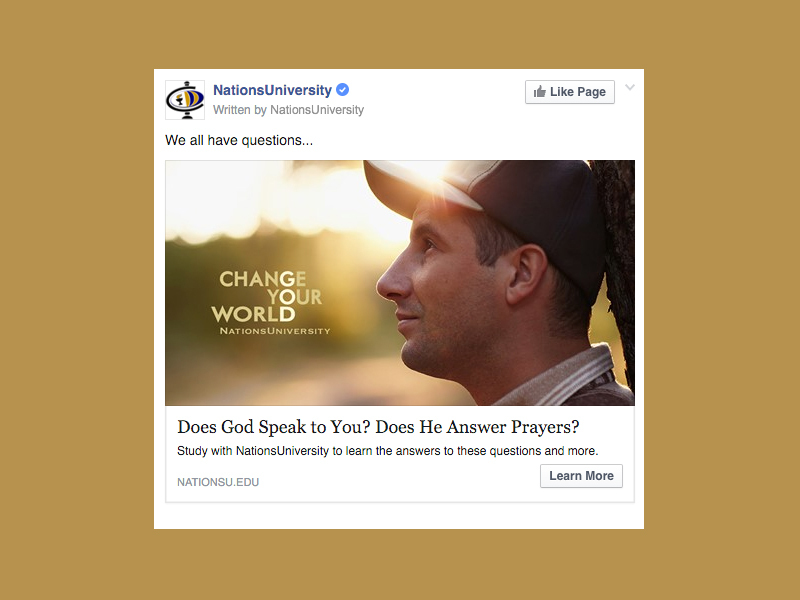 A branding and lead gen campaign launched on Facebook. 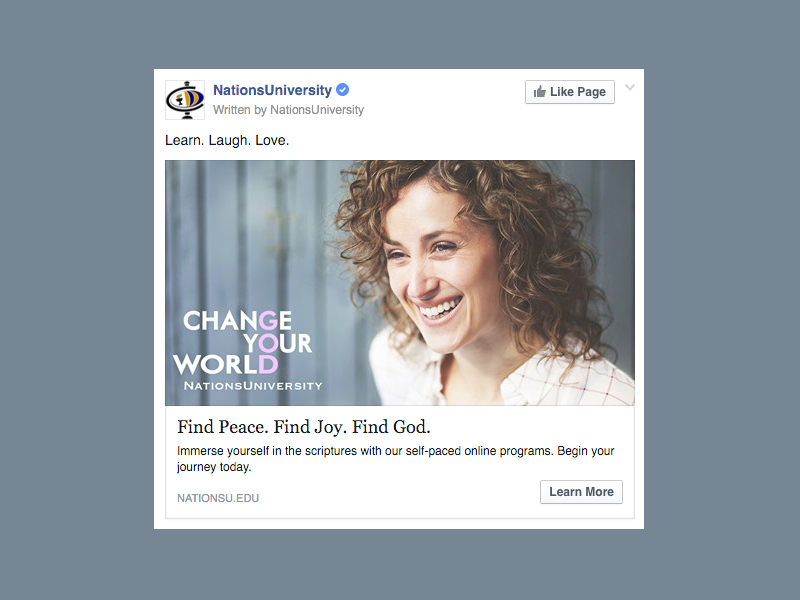 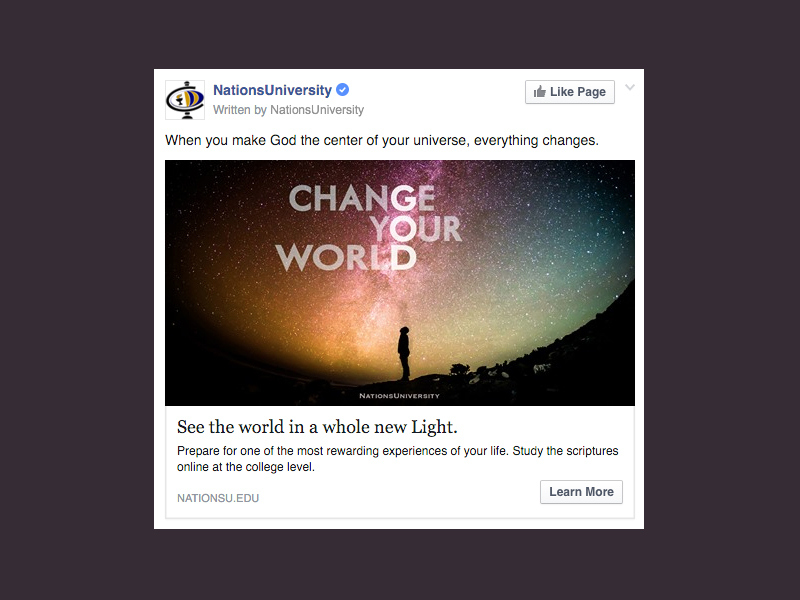 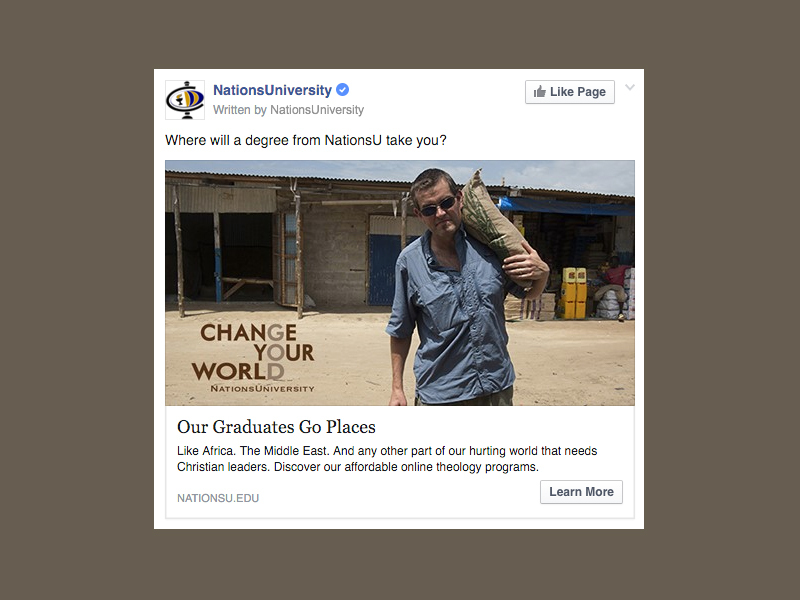 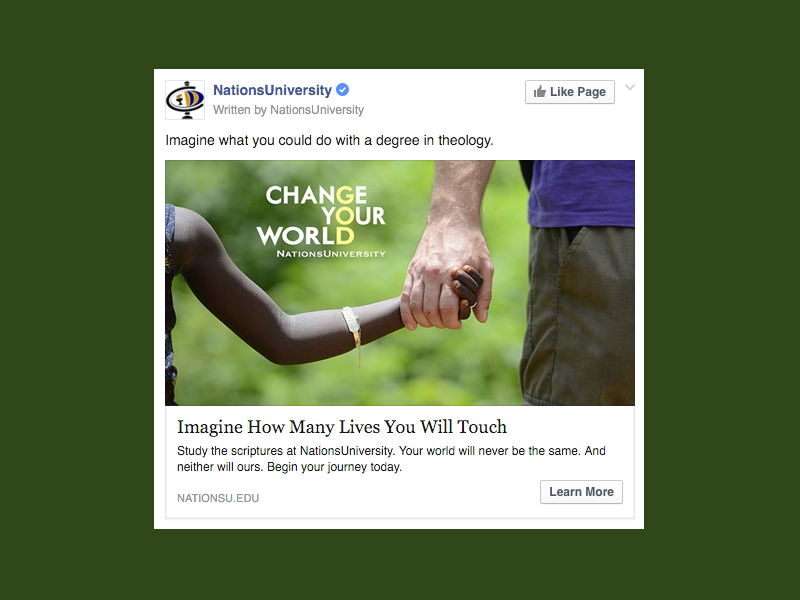 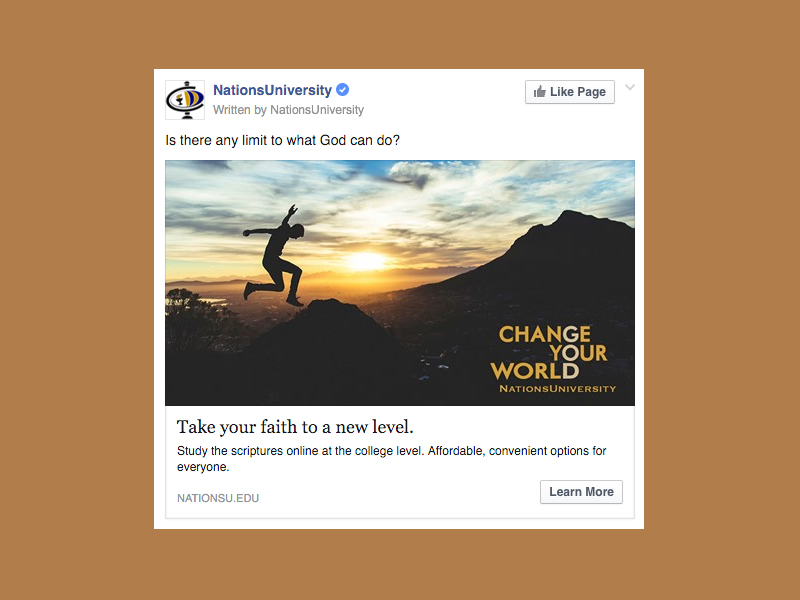 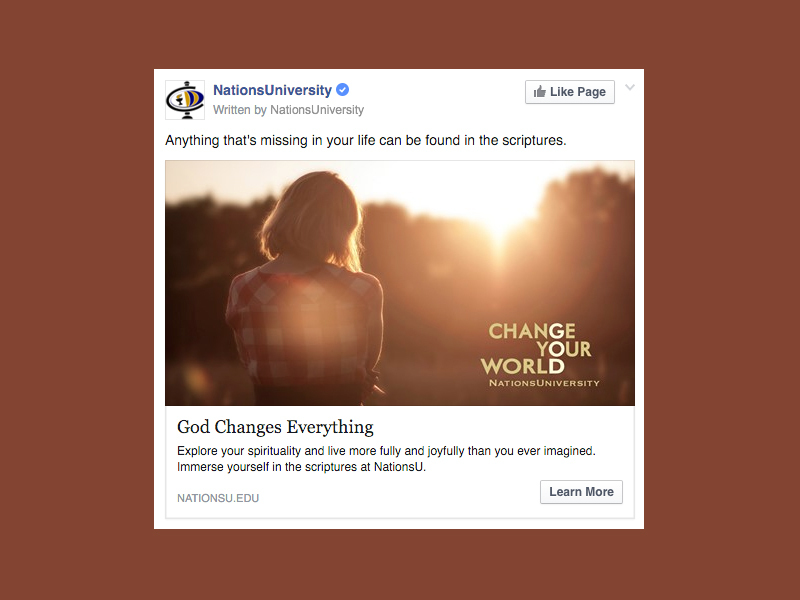 “Change Your World” was the theme we created specifically for this Facebook campaign. 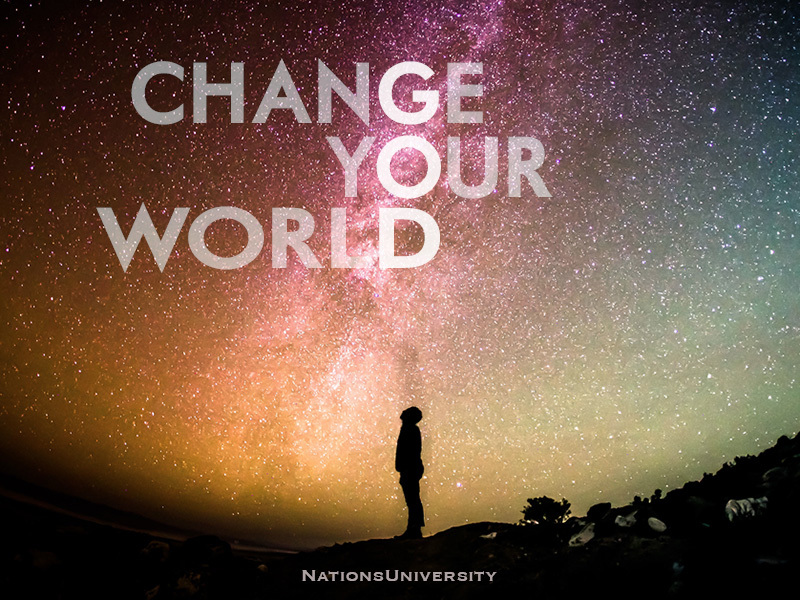 Ultimately, the Change Your World message proved to be so effective and so “right” for the organization that it ultimately became the main theme for the entire brand and is now used in all communications.